Black Knight is today’s weapon of choice for the galant gentleman. 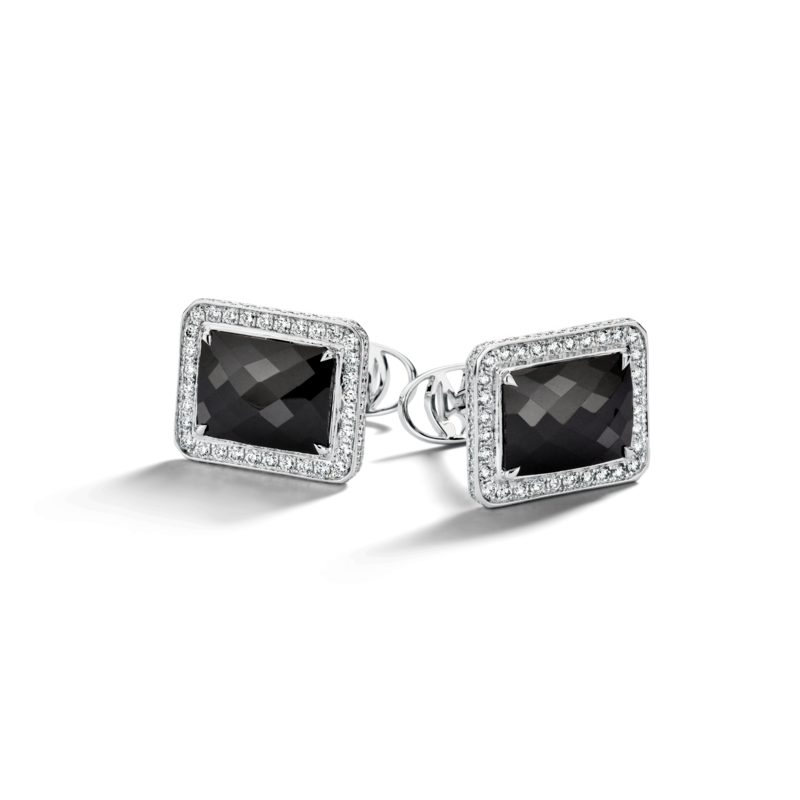 An elegant, modern take on the shining armor. 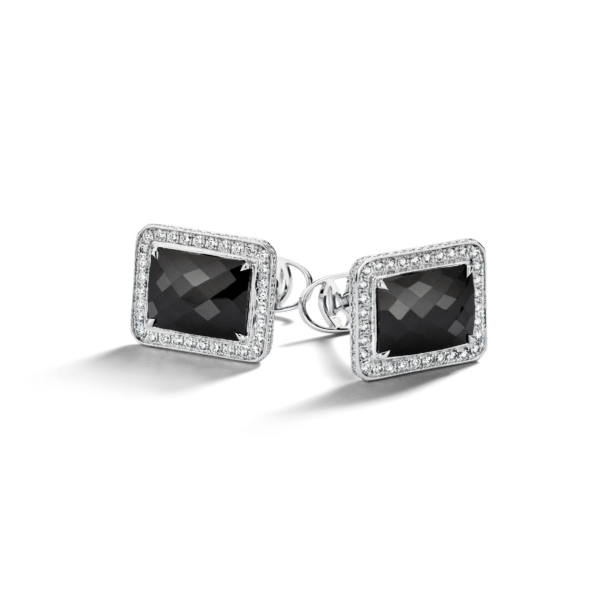 One 18K gold pair of cufflinks, containing 170 (one hundred and seventy) diamonds and 2 (two) spinel.